Cooling Down Animals in the Desert. 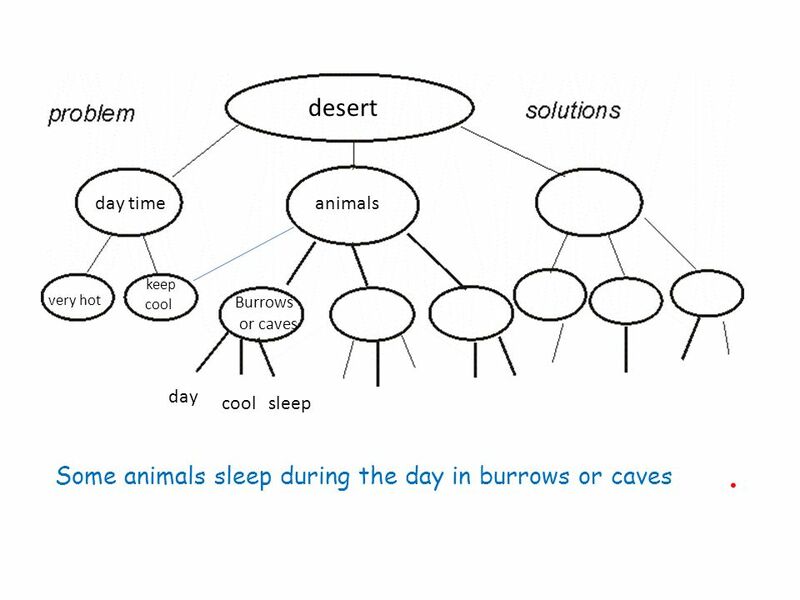 Problem: The desert is very hot during the day Over 100 degrees How do animals stay cool? 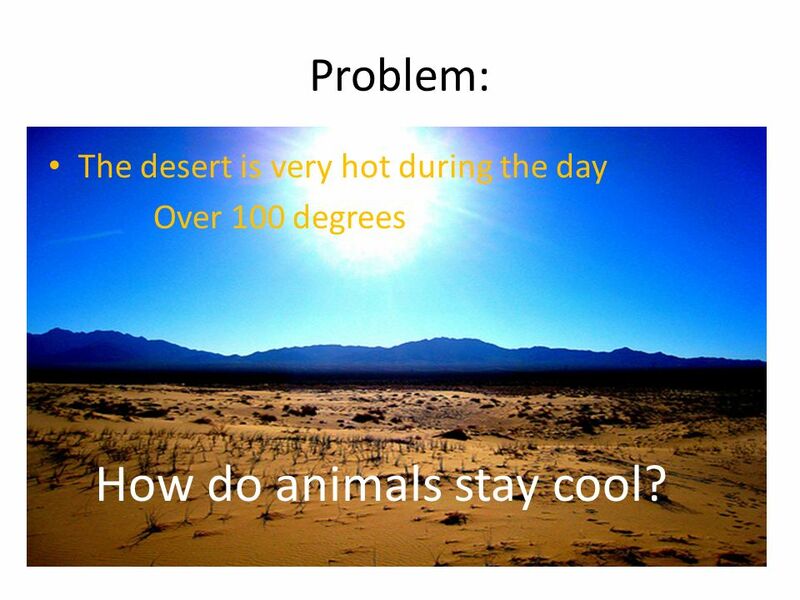 2 Problem: The desert is very hot during the day Over 100 degrees How do animals stay cool? 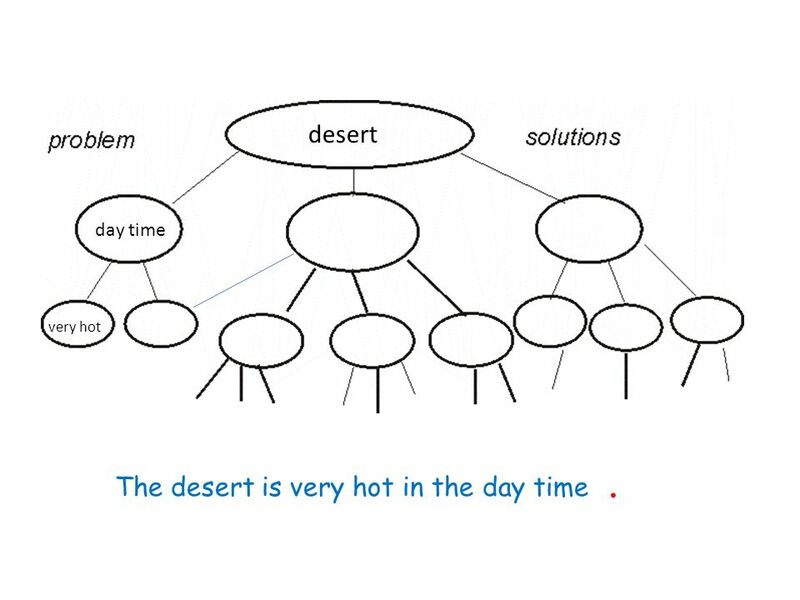 3 desert day time very hot The desert is very hot in the day time. 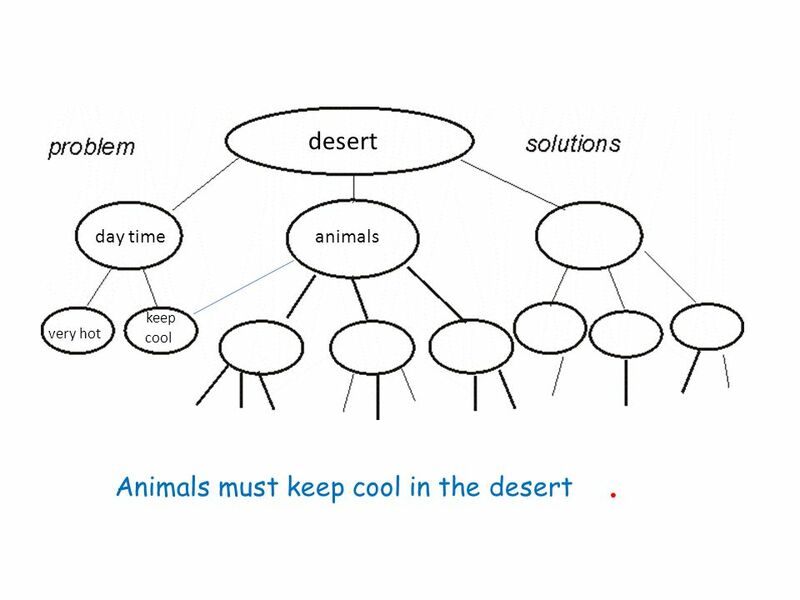 5 desert day timeanimals very hot keep cool Animals must keep cool in the desert. 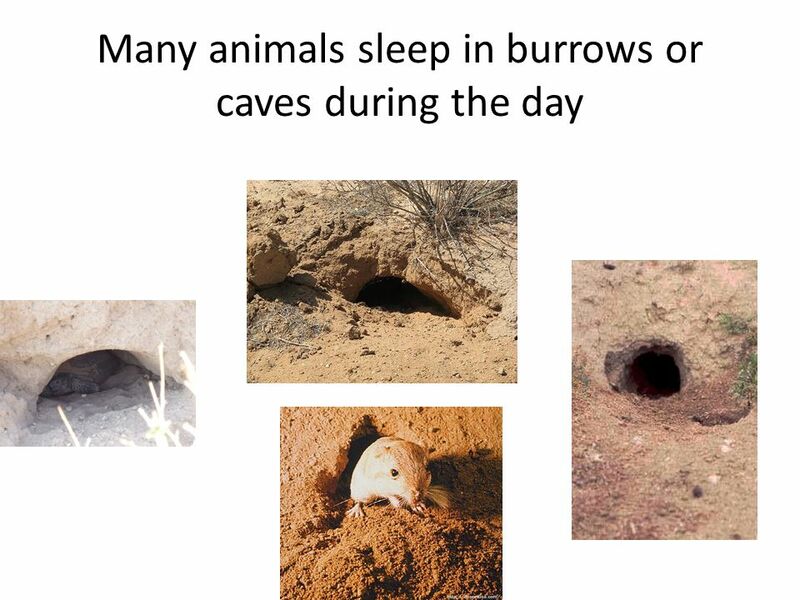 8 desert day timeanimals very hot keep cool Burrows or caves day coolsleep Some animals sleep during the day in burrows or caves. 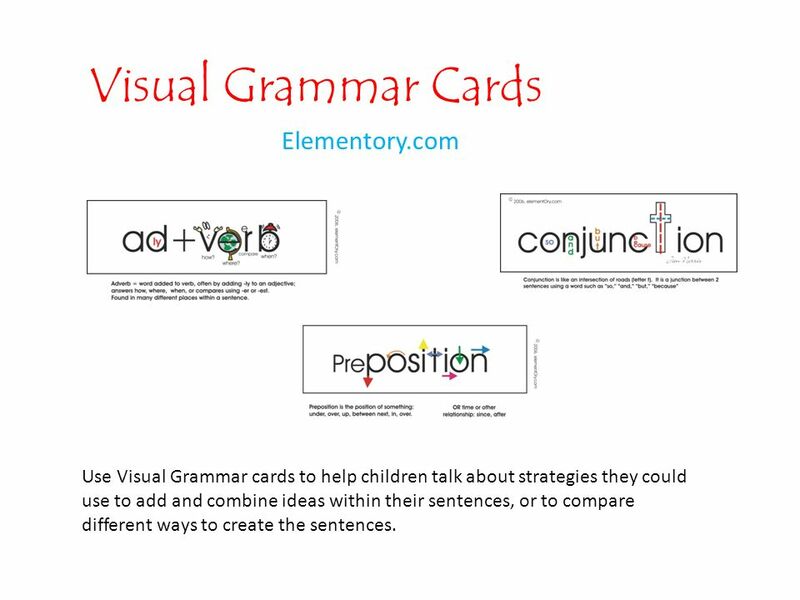 9 Visual Grammar Cards Elementory.com Use Visual Grammar cards to help children talk about strategies they could use to add and combine ideas within their sentences, or to compare different ways to create the sentences. 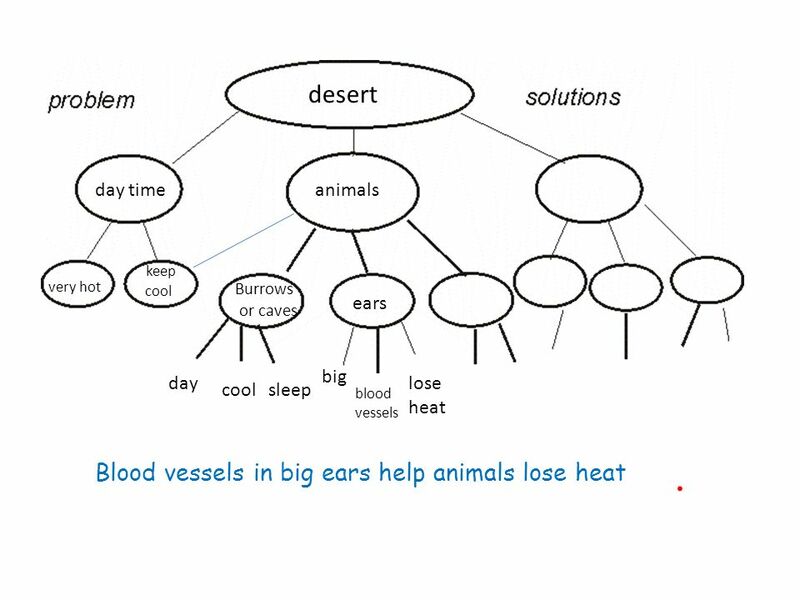 11 desert day timeanimals very hot keep cool Burrows or caves ears day coolsleep big blood vessels lose heat Other animals grow big ears that lose heat. 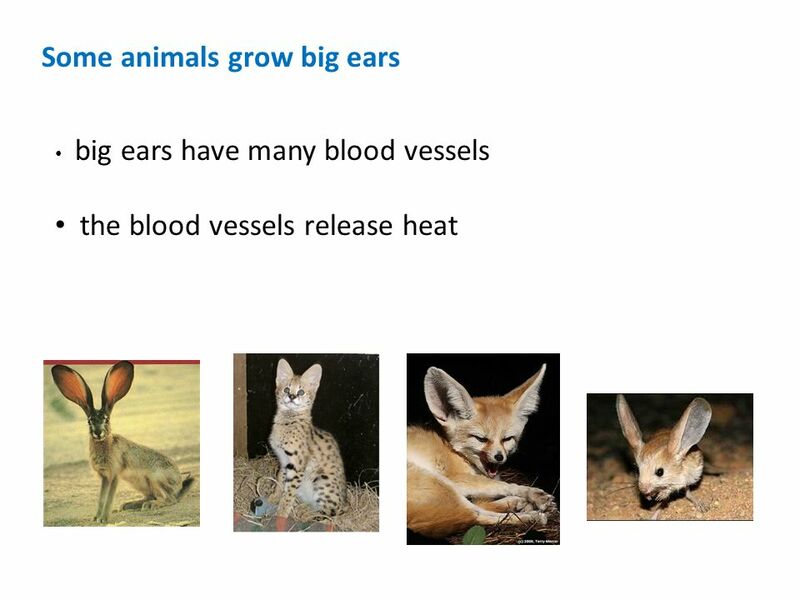 Blood vessels in big ears help animals lose heat. 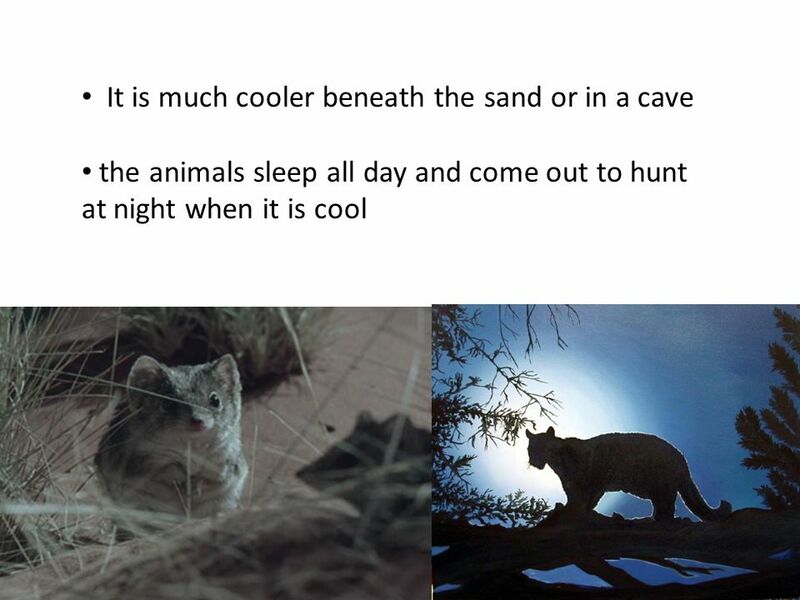 13 desert day timeanimals very hot keep cool Burrows or caves earsshade day coolsleep big blood vessels lose heat rocks trees snakes Animals like snakes find shade under rocks and trees. 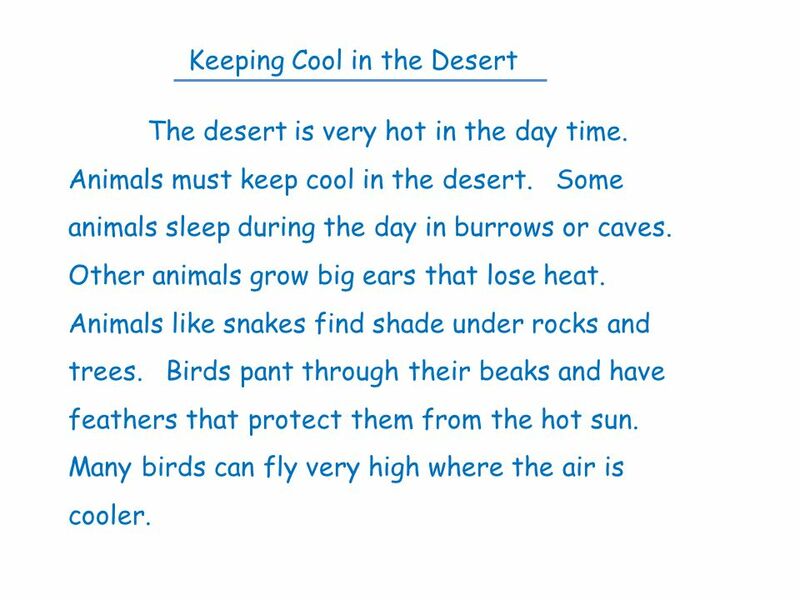 15 desert day timeanimalsbirds very hot keep cool Burrows or caves earsshade day coolsleep big blood vessels lose heat rocks trees pant protect feathersbeaks Birds pant through their beaks and have feathers that protect them from the hot sun. 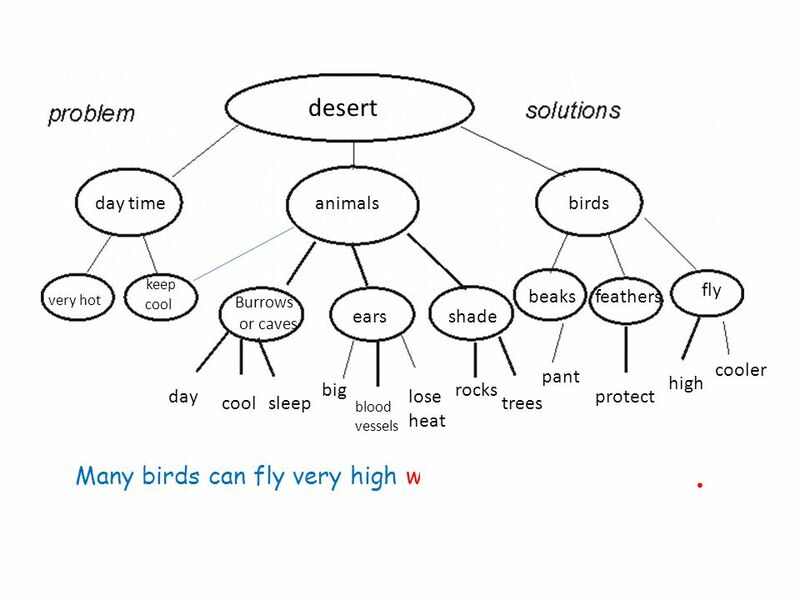 16 desert day timeanimalsbirds very hot keep cool Burrows or caves earsshade day coolsleep big blood vessels lose heat rocks trees pant protect high feathersbeaks fly cooler Many birds can fly very high where the air is cooler. 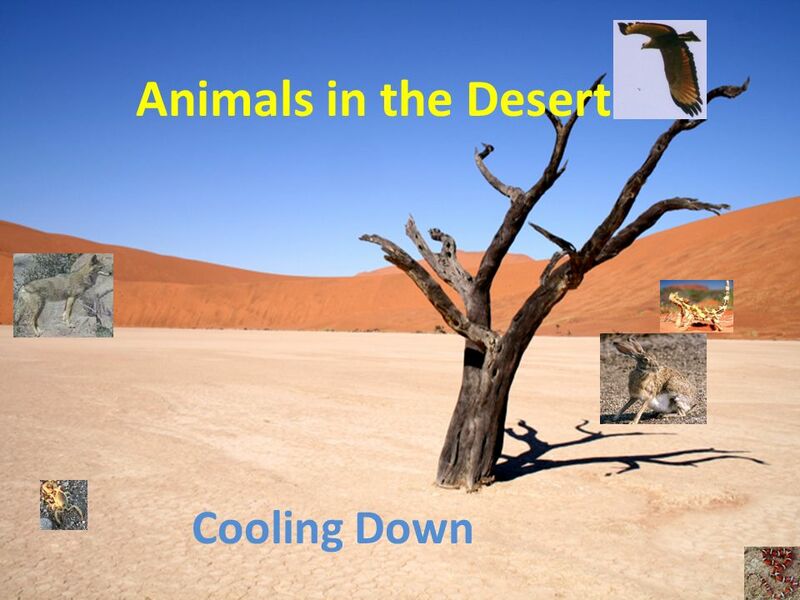 Download ppt "Cooling Down Animals in the Desert. 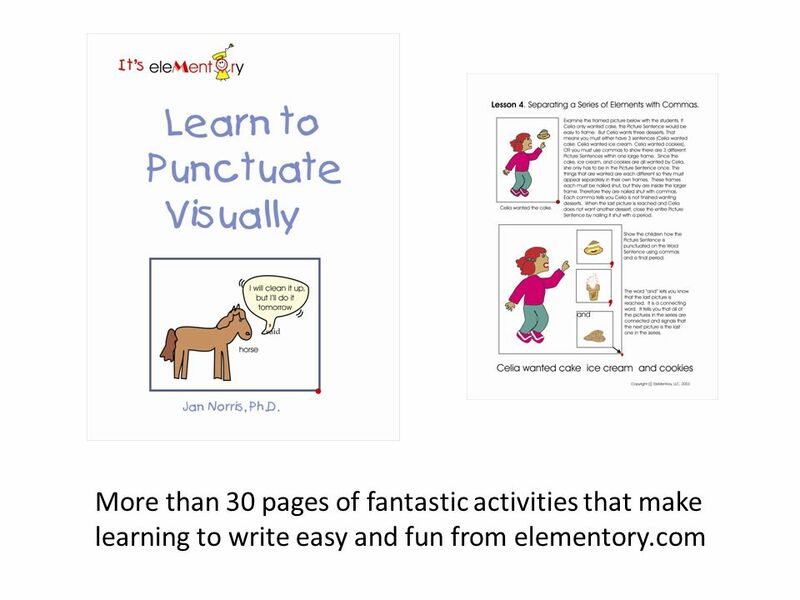 Problem: The desert is very hot during the day Over 100 degrees How do animals stay cool?" Hedgehogs like to eat slugs, snails and other bugs Hedgehogs like to eat slugs, snails and other bugs. However, they like to eat lots of other things. Cold-blooded vs Warm-blooded By Cindy. BIRD HOMES Many birds will build a nest for shelter. 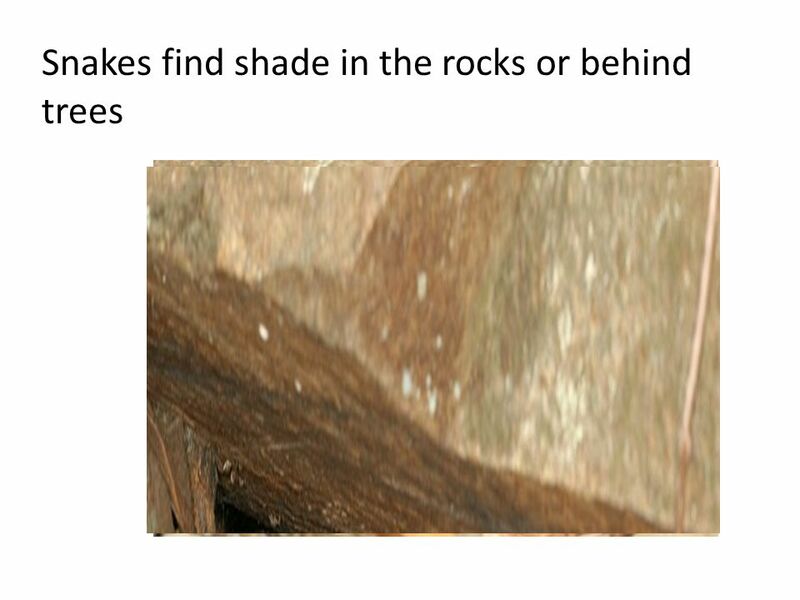 Nests protect young birds and eggs. 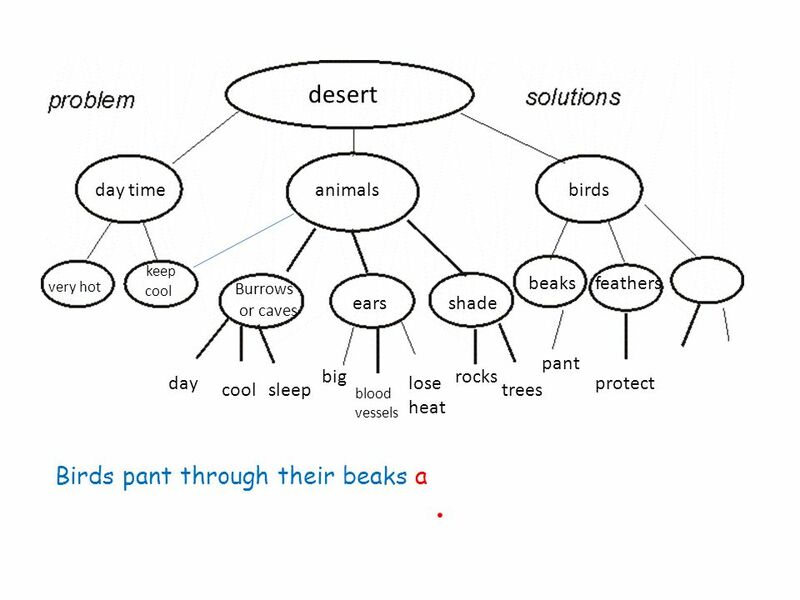 Birds use materials they find in the. Ectotherms and Endotherms. Definitions of Ectotherms and Endotherms ECTOTHERMS are organisms that have a limited ability to control their body temperature. HABITATS Read each slide Look at each picture. Answer each question. Ducks of the future. By Kaci Rodgers. BIG What’s the BIG idea? 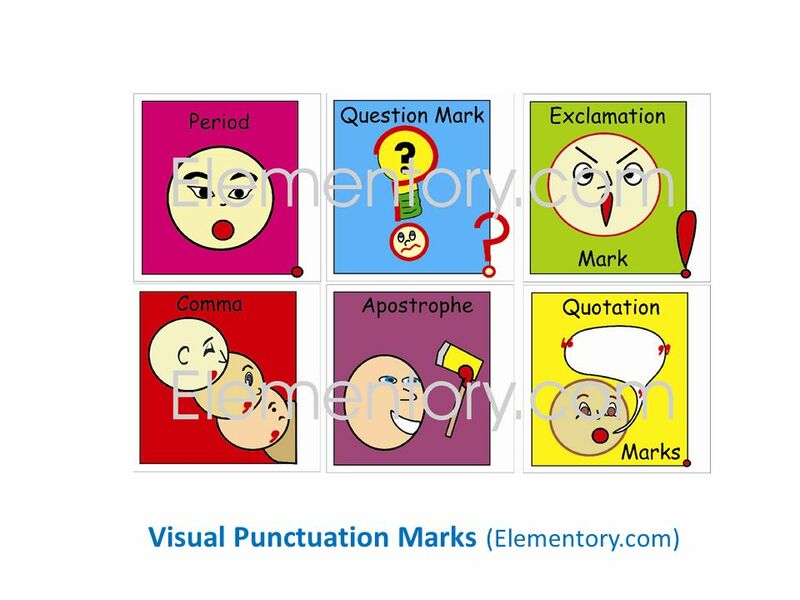 Finding a selection’s Main Idea. Habitats By Hayli. 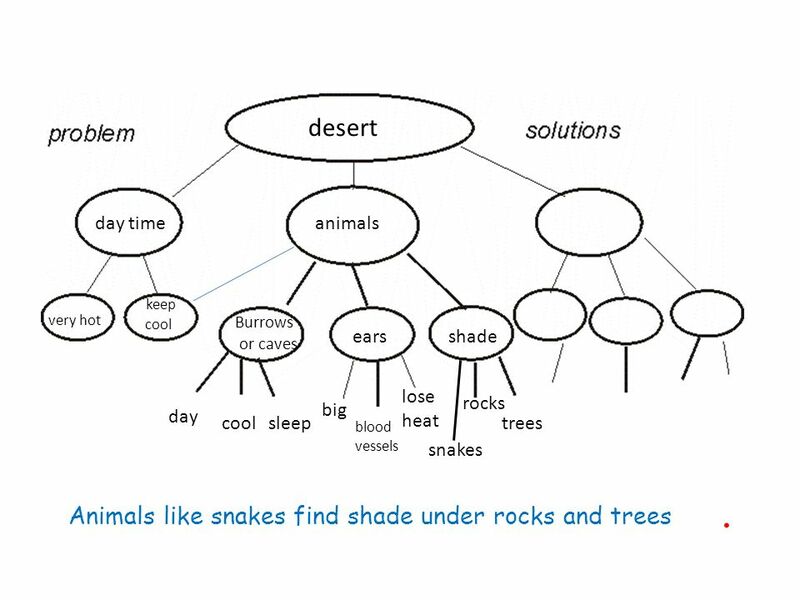 Habitats Where an animal or plant lives Where it gets food Where it gets water. LIFE IN THE DESERT. THE COATIS OF THE SONORA DESERT. Desert Biome By: Holli Wright & Jordan Durst. Location – Southern states: Arizona, Texas, New Mexico – Australia – South West Africa – South America. Organisms and Their Environment Area of Study 1: Adaptations of Organisms UNIT 2 BIOLOGY. THE DESERT BY IAN JOSH KYRAH LOCATION The cool features of the desert are there are rocks, sand, sand dunes, and rocky towers. Deserts are located in. 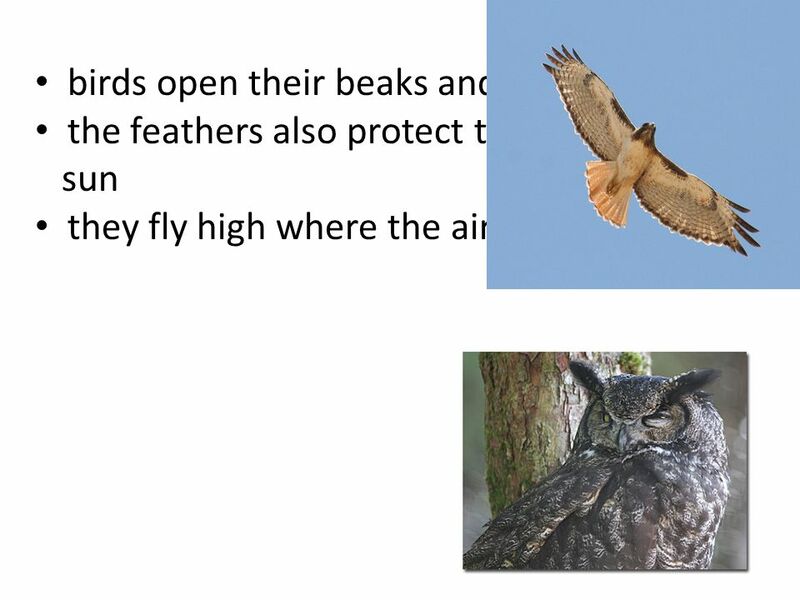 LITTLE BROWN BATS FLYING NIGHTMARES Power Point by Rafferty.